Get up to 7 free auto shipping quotes from the largest, most trusted New Hampshire auto transport companies and save up to 50% on your car shipping rates at CarMoves.com. Car shipping companies in New Hampshire compete for your business, which is how you can save hundreds, if not thousands of dollars on car transport services by shopping with us. Whether you're shipping a car to New Hampshire, across the country, or even overseas, we can help you get the best price on your shipment - guaranteed! Read more about the following auto transport companies in New Hampshire before getting a quote. Click on the name of the company to read a full review. Car-Go Auto Transport Car-Go Auto Transport offers some of the most competitive prices in the auto transport industry. They are also one of the oldest and most reliable car shippers, having almost forty years of experience. Most importantly, Car-Go Auto Transport will beat competing quotes from others in the industry. Get a free auto transport quote today to find out how much it costs to ship a car to or from New Hampshire! New Hampshire is one of the smallest and most unique states in the country. This northern New England state is full of small communities that dot this heavily forested region. Geographically, New Hampshire is quite mountainous, with the large White Mountains dominating the north-central portion of the state. The tallest of these mountains is Mount Washington; a toll road actually runs all the way to the summit of this snowy, blustery mountain. In fact, the weather in much of the state can be argued to be somewhat inhospitable, as low temperatures can reach over 20 degrees F below zero. Still, the state's New England charm makes it a popular fall and summer destination. 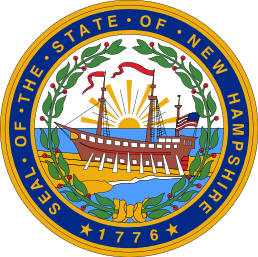 While New Hampshire is not a state that frequently garners national attention, the state does have a large significance politically. Known for its famously libertarian values, New Hampshire has the official motto "Live free or die." The Granite State is also key in deciding presidential elections, as it is almost always the state to host the first primary during election season. This primary has often been a great predictor of who will run for the position of President of the United States. In recent years, New Hampshire has become somewhat of a swing state, with close election races that have been won by Democrats in the last two presidential elections, and by Republicans in the last midterm election. Economically, New Hampshire is currently in a good position as it diversifies and continues to hire employees in agriculture, industrial manufacturing, and an increasing number of service and tourism-related jobs. Fall foliage tours are popular with out-of-towners, and the state's maple syrup is highly desired. An absence of sales tax on most goods also encourages retail sales. Overall, the state's unemployment rate hovers around the 5% mark, a figure several percent lower than the national average. CarMoves.com works with car shipping companies throughout the state of New Hampshire. We can help you get the best prices on car transport services to the following cities in New Hampshire: Manchester, Nashua, Concord, Dover, Rochester, Keene, Derry, Portsmouth, and many more. If you don't see your city listed, don't worry - we can get your vehicle shipped anywhere in New Hampshire. Scroll to the quote section on this page to compare free auto shipping quotes from up to 7 New Hampshire auto transport companies and save up to 50% on your move! View the New Hampshire Department of Transportation website for more information.